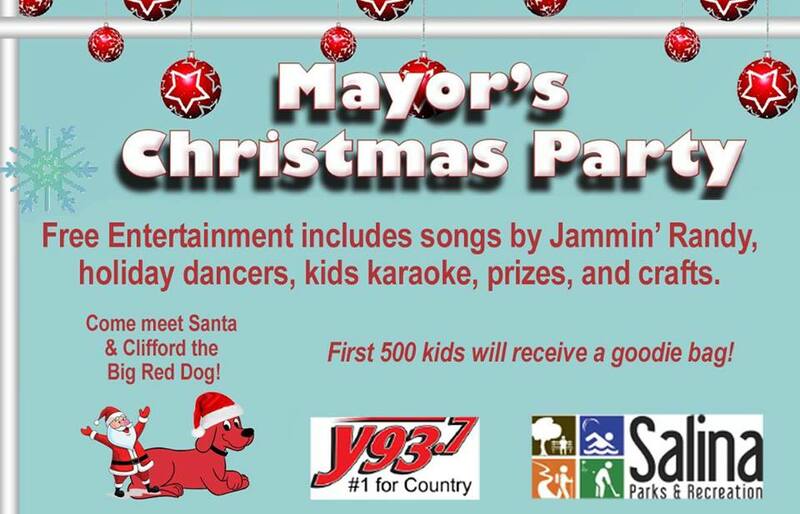 The City of Salina is planning for the 38th annual Mayor’s Christmas Party. The free holiday event is sponsored by the Salina Parks & Recreation Department and is open to the entire family. Featured activities include: Clifford the Big Red Dog with Jammin’ Randy, holiday dancers, kids karaoke, treat bags, prizes, crafts, and a visit from Santa. The Mayor’s Christmas Party is scheduled for Sunday, December 10, 2017 from 2 p.m. to 4:30 p.m. in Heritage Hall of the Tony’s Pizza Events Center, 800 The Midway.